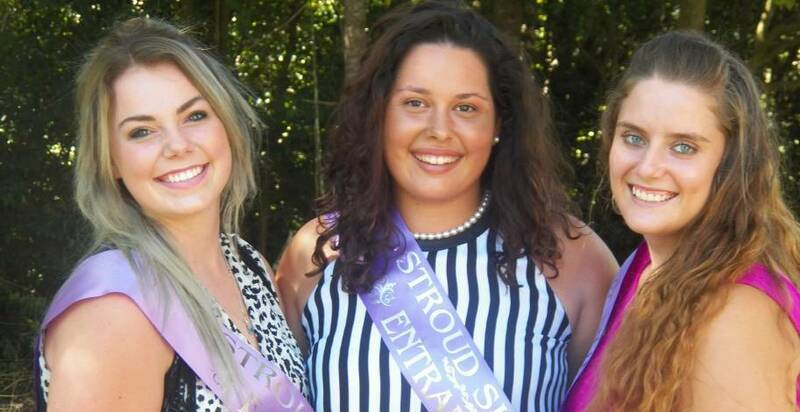 Three young ladies have entered this year’s Stroud Showgirl Competition; Stacey Kedwell, Chloe Hutchinson and Hannah Baldwin. Showgirl judging took place at an afternoon tea on Saturday 12 March at the Stroud Public School Hall and we wish all the girls the best of luck. The Showgirl Competition aims to find a young female Ambassador for rural NSW and the agricultural show movement. The winning Showgirl of each local Show Society is selected by a panel of three judges and remains Showgirl until the next year’s Show. Her role involves many official and informal duties locally, nationally and overseas, such as opening a Show, public speaking throughout the year and presenting prizes for winners in agricultural events. The Showgirl Competition is definitely not a beauty pageant. Entrants must have a genuine interest in, and knowledge of, rural NSW. The Competition encourages the participation and awareness of issues faced by women in rural NSW.